The 3rd edition of the Temporary Showroom “MakerInHangar3” is coming up quickly! On June 30th, 2015 join us at Fantacci Interiors, Via Frascati 67 in Prato and see first-hand some of the best and brightest designs out there. All of the following 8 items will be showed in the temporary showroom and you won’t want to miss out on the opportunity! 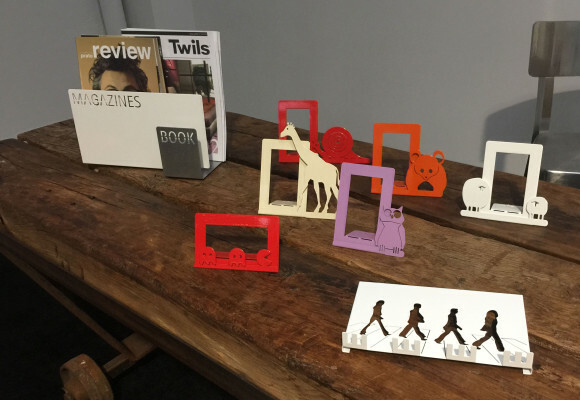 You will love the “Photoframe Giraffe” (€20.00) in orange, or another one of the various colors offered, to vibrantly energize any room. The frames are made of sheet metal, which is laser cut, folded and painted. Merge your trendiest new item with one of your favorite photos and you have something very special in your hands! “Lello The Umbrella Stand – Grey and White” (€100.00) is the perfect combination of functionality and modernity. The sleek design created by sheet metal that is laser cut, shaped, and powder coated is a piece that every home or office needs. This fashion forward interpretation of an umbrella stand even includes a convenient compartment to hold small umbrellas. This cool new item might be just what you need to brighten your mood on a rainy day. The “ZIGZE Color – Stool” (€127.00) combines both chic and edgy styles to create a simple and very appealing stool design reflecting a unique mesh of Italian and international aesthetics. With a convenient footrest bar at the bottom and a eye-catching pop of color, especially the vibrant red option, this stool could be a fantastic new addition in the kitchen, bar, or seating room. Similarly, the stylish interpretation of the minimalist 50s fashioned table in the “T14 – Table” (€1,485.00) is a magnetic new feature item. The tables are made from phenolic birch and stainless steel and features extractable stainless steel bars to elongate the table if desired. The convertibility of this elegant piece makes decorating a room fashionably very easy. 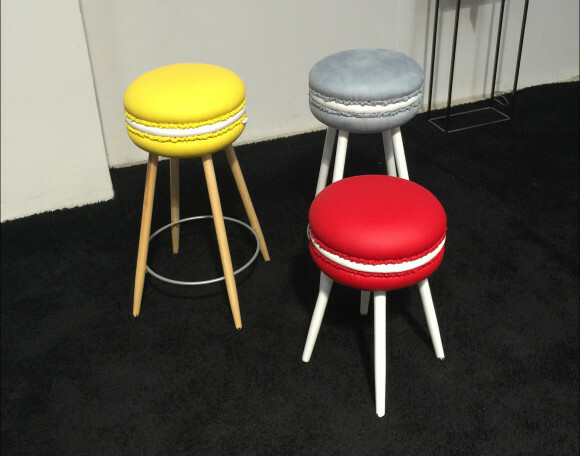 “Makastool Bergamotto ‘S’” and “Makastool Marie Antoinette ‘S’”(€230.00) are energetic and fun stool designs: shaped to resemble a macaroon, the stools’ endearing concept could brighten any room! Makastools are available in both large and small sizes, as well as in an assortment of colors. And don’t forget to take advantage of the discount available: save 31% when you buy 10 stools at €159.00 each or save 36% when you buy 20 stools at €149.00 each. You will love the yellow and bright teal stools to bring summer indoors in style! “Hanger Doppler” (€220.00) is another home décor item that can take a room to the next level. This hand-crafted coat hanger, made of birch plywood and upholstery fabric, can decorate walls with the same design as an antlered deer-head wood, but in a sustainable, cruelty free fashion with a much greater sense of elegance about it. The soft nose of the piece can be detached and is available in a few different patterns. This is a fun, functional, and environmentally friendly way to spruce up the walls of the home! Finally, “Satula Multifunctional Stool” (€136.00) is one of the most dynamic designs out there. This piece made from birch plywood can be use for any number of functions, depending on how far your imagination will let you take the design! What is initially intended as a small stool inspired by the size of a bicycle seat is stabilized and expanded to create anything from a planter, to a table, or even to a small library. The possibilities are endless with this multifaceted and beautifully crafted piece! 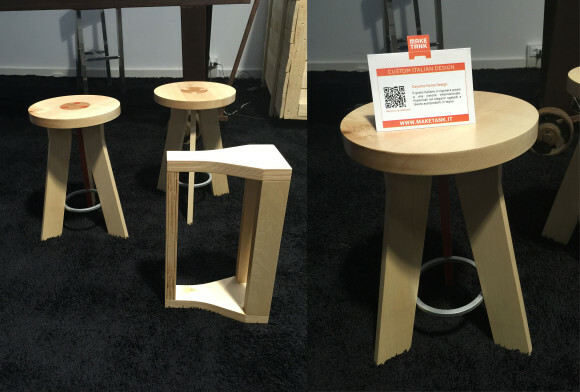 Find these and many more impressive new furniture designs if you are curious! 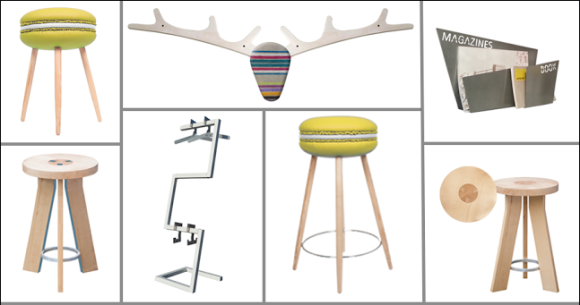 Hope to see you at the Temporary Showroom: MakeInHanger3 to view in person these exciting designs!